Audience: All primary educators from one school. Bookings: Please contact us to make a booking enquiry. Availability: To view all available dates, click here. Cost: All tailored on-site events incur a fixed presenter’s fee and variable travel costs as shown on Anita’s Schedule of Fees. Tim Waugh, Consultant and Learning Strategist K-6 for Anita Chin Mathematics Consultancy, has over 20 years cross-sectoral experience as a classroom teacher, school leader, curriculum consultant and teacher educator across Australia. He draws upon a wealth of knowledge to transform teacher practice to enhance learning outcomes in Mathematics K-6. This professional learning day is designed to empower all educators with pedagogical content knowledge by engaging with current research and the NSW Mathematics K-10 Syllabus to see how the ‘big ideas’ of mathematics can be intentionally planned for the creation of rich, ‘low floor, high ceiling’ mathematics tasks that develop deep understanding within and across substrands of the curriculum. 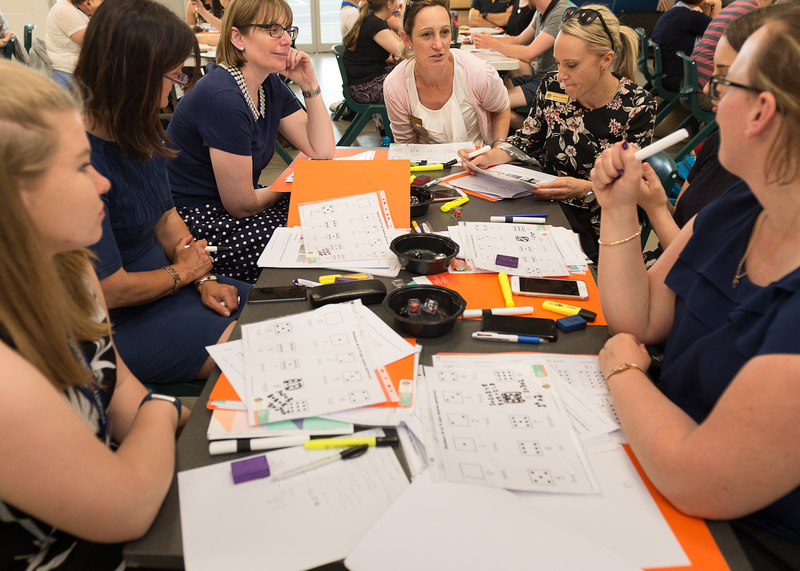 Educators work collaboratively in small professional learning teams within the one learning space, with Tim facilitating a whole-school approach to professional learning. The PL can also be delivered to just leaders of PLT’s and mathematics/numeracy team members. Mathematical tasks and authentic assessment. Step 2 – Develop an understanding of rich mathematical tasks which can be incorporated into an effective mathematics/numeracy block. Step 3 – Develop a variety of rich, challenging mathematical tasks that incorporate a range of enabling and extending prompts. Step 4 – Consider the implications for mathematics programming by developing units of work that incorporate all of the above. Completing Planning and Programming Rich, Challenging Mathematical Tasks will contribute 5 hours of NSW Education Standards Authority (NESA) Registered PD addressing 2.5.2, 6.2.2, 6.3.2 and 6.4.2 from the Australian Professional Standards for Teachers towards maintaining Proficient Teacher Accreditation in NSW.